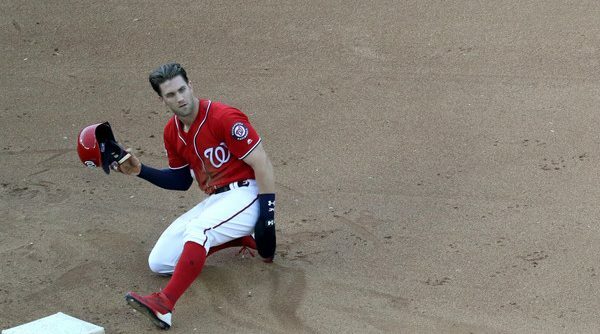 Something happened on Tuesday night against the Orioles that really made me think about Bryce Harper, his season thus far, and where his future will take him. I graduated from Villanova University this past weekend, which means that I spent four years in Philadelphia during the most publicized tanking job any pro team has ever undergone: The Sixers’ “Process.” I had to hear for years about the good, bad, and ugly of purposely losing in order to win at some undetermined point in the future. Baseball has had its versions of tanking as well: the Astros are the notable franchise who many consider “tankers”, and we saw the fruits of their process in November when they took home a World Series title. In NBA circles, the self-appointed geniuses believe tanking is the best (and often, only) way to build a winner, and MLB minds have started to wonder if that works in baseball as well. 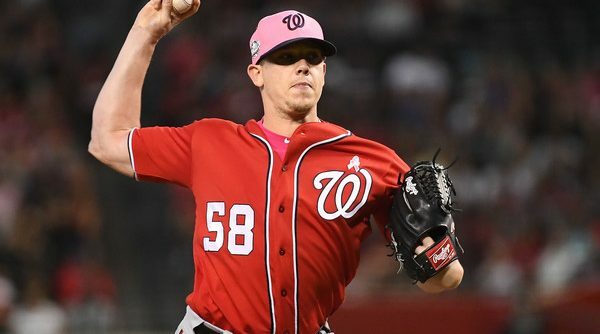 Jeremy Hellickson began his tenure as a Washington National as a relative afterthought: a low-risk insurance policy for a franchise with little pitching depth, someone that could be counted on to at least throw strikes in Triple-A and in the Majors if injuries were to occur. Flash forward to mid-April, when A.J. Cole finally lost his ninth life as a Nats prospect and was demoted from the fifth starter role (and traded a week later) in favor of the 31-year old veteran Hellickson. Not much is generally expected from the number 5 guy in a rotation besides staying giving his club some quality innings so as not to destroy the bullpen. Yet here we stand halfway through May with Hellickson having started six games and the numbers are astounding. 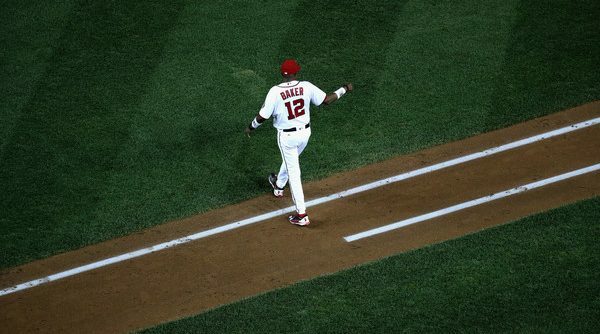 2.20 ERA, 0.86 WHIP, 5.2 K/BB ratio, and while he only has one decision (a win), the Nats are 4-2 in his starts. Save perhaps the otherworldly Houston Astros, no team in baseball has been as pleased with their fifth starter as Washington. But is it sustainable to any extent? Let’s look at the underlying numbers. 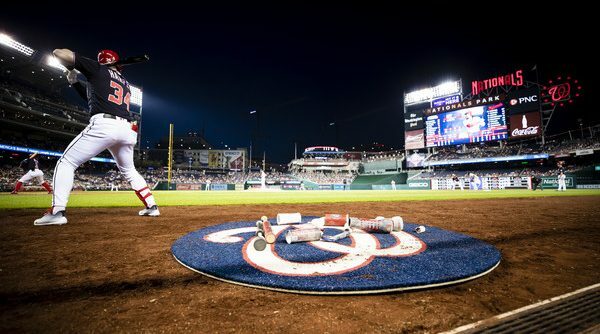 The Nationals are currently experiencing a problem they haven’t really had in their years in Washington: Ryan Zimmerman might not be the team’s best player at his position. 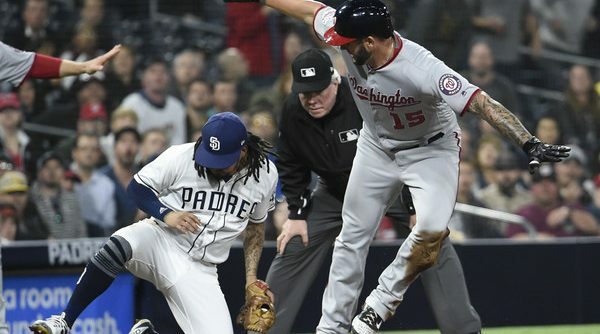 Sure, there was a time when a prospect named Anthony Rendon was lurking behind Zim on the organizational depth chart at 3rd base, but it was easy enough to relocate Rendon to second for a while. Now, however, they face a situation where backup 1st baseman / injury replacement / homer-robbing outfielder (!!) Matt Adams has really been the best hitter on the team. 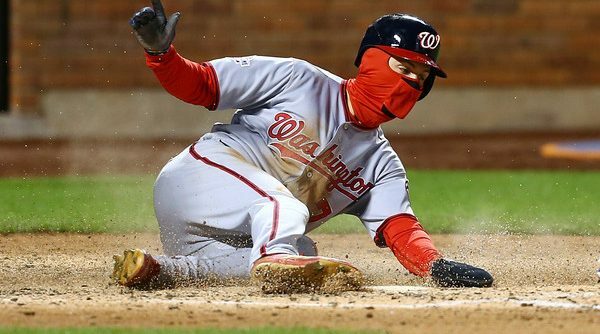 As of Wednesday morning, the Washington Nationals are in fourth place and 4.5 games back of 1st place in the NL East, a division they were supposed to run away with. Though they have dug themselves something of a hole, all is not lost. 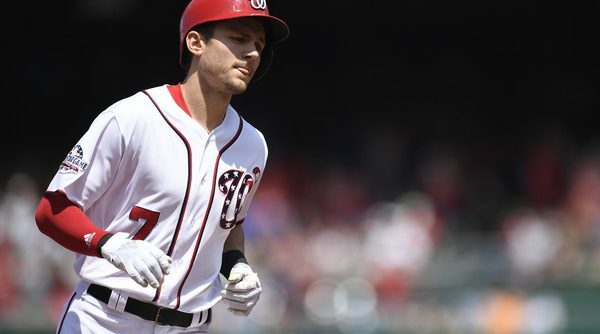 Are Trea Turner’s Struggles the New Normal? Five to ten years ago, talking heads in baseball may have been calling for 24-year-old phenom Trea Turner to be sent down. After all, the NC State product is hitting just .236 in the first month of the season. Forced into the leadoff spot following Adam Eaton’s absence, it has been frustrating to see him unable to produce base hits. Yet there he is halfway through April, sporting a .368 OBP thanks to a 17.2% walk rate. While nowhere near a guy like Bryce Harper (27%), this is a rate on par with players like Rhys Hoskins, Aaron Judge, or Paul Goldschmidt. Essentially, we are talking about a walk rate prototypical of a slugger, not a leadoff man like Dee Gordon (3.9% career BB%), Ender Inciarte (6.7%), or Adam Eaton (8.2%). 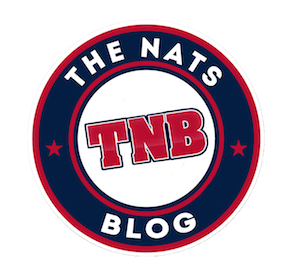 Continue Reading Are Trea Turner’s Struggles the New Normal? 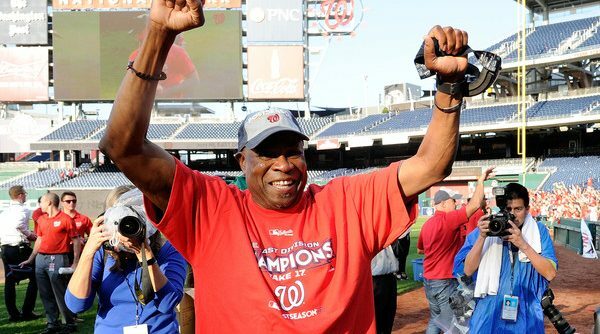 In part two of “September Nationals History Lessons,” we revisit all twelve games that marked the end of a season in the Nationals history. Some were entirely forgettable, a few were exciting, and one has been nearly forgotten considering the circumstances from the night before. 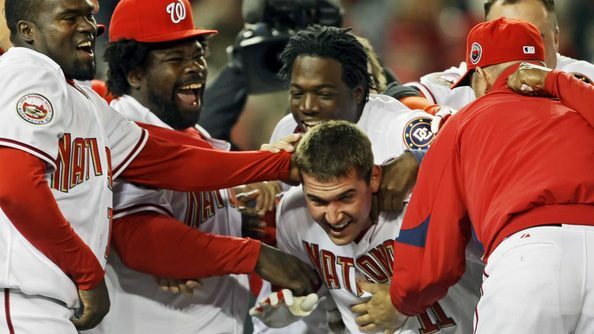 In total, the Nats are 3-9 in their final game of the year. (They’re 3-6 in seasons ending in the regular season.) Some interesting names took center stage in these games from across the last decade. As I said last week, this is nothing more than a fun exercise and change of pace from the postseason hot takes you are getting from every media source in the nation. Enjoy! Welcome to the first of a two-part series titled “Nationals History Lessons,” where we look at history as it relates to current events and allow readers to utilize the post hoc fallacy to jump to conclusions! First up, we look at how the three Nationals playoff teams and their playoff opponents fared in the month of September. We will then look at the 2017 Nationals and their NLDS opponent, the Cubs (no one really thinks it’s going to be anyone else, right?). This is meant to be a fun exercise, not an assumption of future events based upon three five-game series from the past nor a rehashing of painful memories from October. With that said, let’s get started! I have tried to ignore it for days but it is time the address the elephant in the room — or in this case, the dumpster fire in the room. I am, of course, referring to the Los Angeles Dodgers and their increasingly slim lead for the best record in baseball. 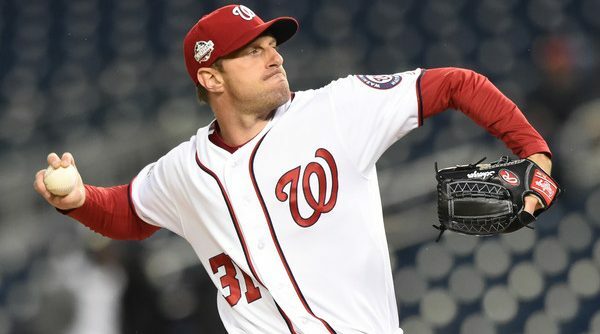 An 11-game losing streak and only twos win in September through 13 days of the month have created a gaping opportunity for the Washington Nationals to overtake them for home field advantage. This, along with very little else exciting happening for Nats fans, has created a storm of hot takes surrounding the merits of earning the top overall seed. I have considered all sides of this and have finally come to a definitive conclusion: being the top seed is good.